It's Six Sentence Sunday again. 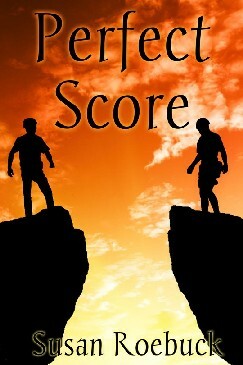 Today I've chosen six sentences from my novel, Perfect Score, which is a non-explicit, m/m suspense/romance. It was a finalist in the 2012 EPIC eBook Awards in the Mainstream category and it was also a Honorary Mention in the 2011 Rainbow Awards in the General Fiction category. You can read more on the Publisher's site. Great descriptions and love the last sentence "someone always dies at night - we'll get their shirt and pants." It's funny but horribly sad at the same time. I'll definitely check out your book. Thanks for sharing. Wow, intense and gripping - terrific six! Makes me want to know more for sure. Vivid descriptions, wow! Makes me want to read more! Great six! I can see why so many liked it. Just from those six sentences, I can see how powerful it is. Wow. Just...wow. What a powerful image and clear depiction of character. I can see why this won awards, too! I...wow. Wow! Humor and drama at once. You have me intrigued! Excellent Six. I love the "whiff of insanity." ah...it's more what happens in the rest of Sam's life!